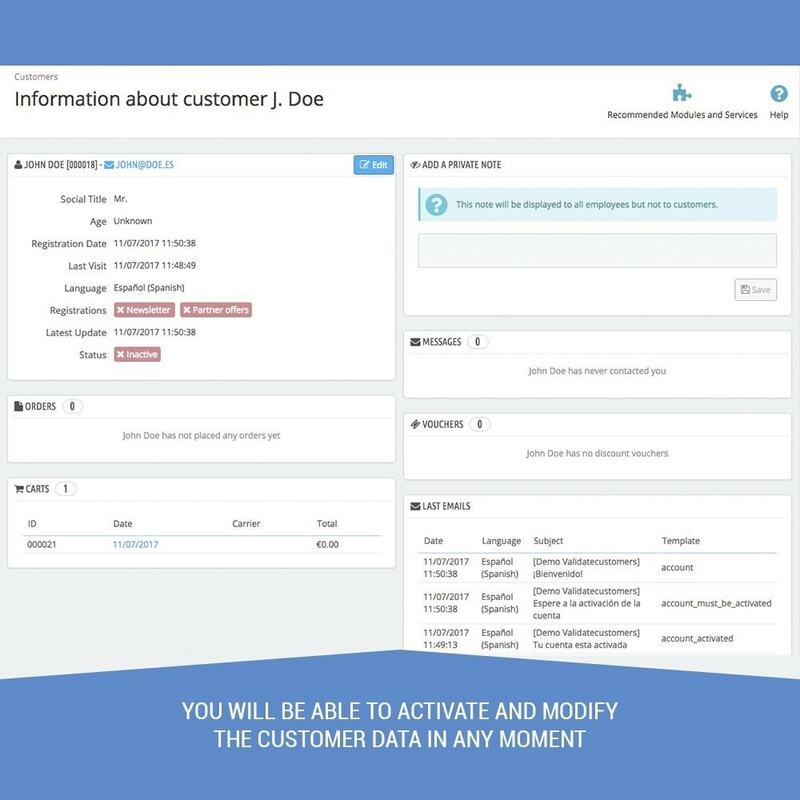 Allows you to manage easier and faster a B2B store and customer registration. - Possibility to create one or various groups of clients and move them when they register, both with normal or professional customers. - The owner has the possibility to receive register notifications every time a professional customer registers. - You can assign the new registered customers to one or various groups, normal users and professional users. 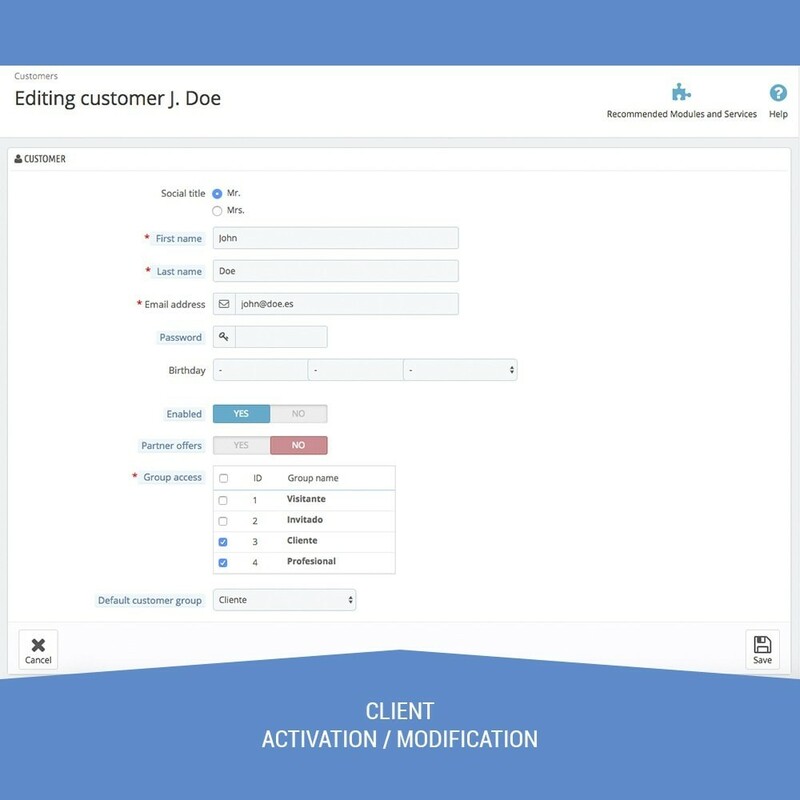 - Possibility to activate for professional users the option to send documentation in pdf, png or jpg. - Notifications to the user every time a new client registers. - List with validation pending customers and attached files visualization. - Allows you to set the store in B2B mode, where only registered users can buy and see the prices.